Alopecia, commonly termed as hair loss or baldness, is the problem of loss of hair from the scalp and the body. It is experienced by people throughout the world. This issue is faced by both genders but the intensity and pattern of hair fall is different. 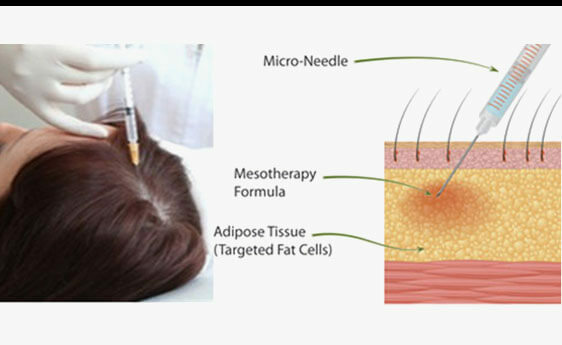 Mesotherapy is tailor made for the treatment of hair loss in that most hair loss is caused by conditions existing in the mesoderm, or middle layer of the skin.Success of the treatment is a result of sending the right nutrients in the right amount to a specific area – in this case the follicles that support hair growth. Mesotherapy does this by administering the necessary nutrients and anti-inflammatory drugs through shallow injections, approximately 1 mm in depth, into the scalp. The material injected stimulates the middle layer of the skin, feeds the hair follicles with a customized solution specific to the needs of the patient. It also stimulates the production of collagen and elastin, which are two of the main building blocks of the skin. Increasing levels of collagen and elastin creates a healthy scalp, which can support healthy follicles. A Mesotherapy treatment consists of gently cleaning the scalp, then micro injecting small doses of the necessary medicines just below the scalp. The medicines used include Vasodilators for the improvement of distal circulation, and vitamin activators to encourage growth. This improves partially blocked microcirculation systems, loosening aging pillar cysts. 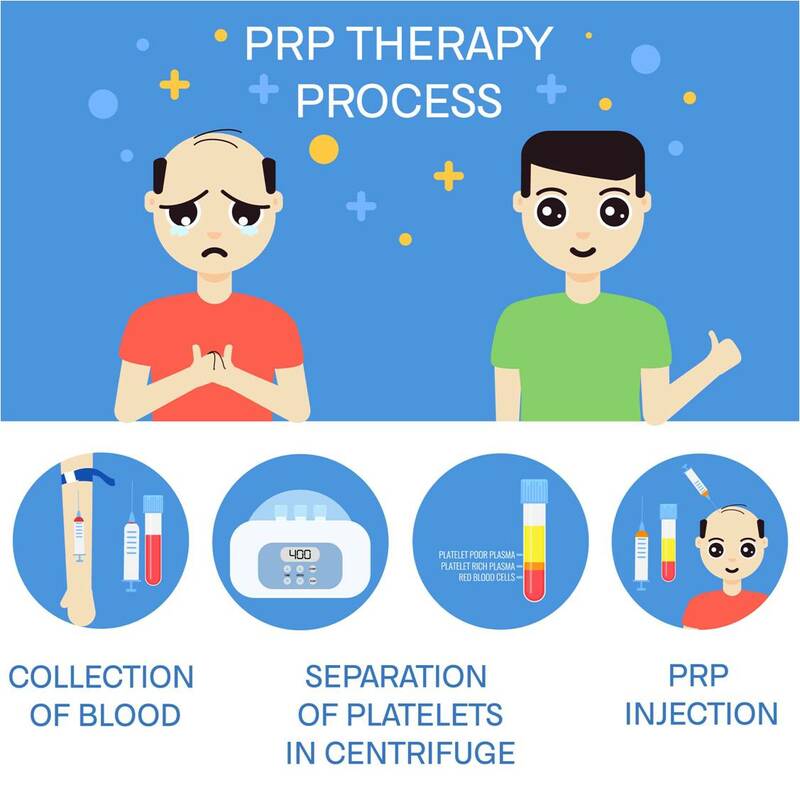 This wonder treatment can prevent the need for hair transplant surgeries and other expensive and painful alternatives. Using dermaroller, mesogun or insulin syringe, microholes are created over the scalp and stem cell serum or platelet rich plasma is instilled into the deeper layers of scalp which stimulate the existing hair follicles and promote the new hair growth. Along with skin treatments, Allure MedSpa is a world class hair loss treatment centre for men and women focused and dedicated solely to the practice of hair transplant surgery and hair loss prevention. A clinic that is dedicated to achieving results using the latest techniques and innovations in hair restoration surgery. Our dedication to hair restoration means that our patients get the most advanced techniques, a natural hair transplant and the easiest recovery at absolute value for money prices. No wonder, patients from all over the world throng Allure MedSpa to achieve their hair and skincare goals. The treatment is virtually painless and completely safe when done in a professional clinic. There is no need for anesthesia and there are no dressings required. Within our relaxing and nourishing environment, we strive to provide you the most comfortable experience during the procedure. The pain during mesotherapy is subjective and patient specific. Some people perceive it like hot massage and some find it unbearable. For sensitive individuals a numbing gel or topical anaesthesia is suggested one hour prior to procedure which reduces the pain sensation considerably. Mesotherapy is a safe procedure and there are no long term side effects. However, the procedure should be done under complete aseptic conditions so as to avoid folliculitis. But for best and speedy results, the patient should maintain a healthy diet, eliminate intake of junk food and toxins and religiously follow a fitness regime and regular exercise program. You can expect new hair growth along your existing hair line and improved density, health and texture of hair. Mesotherapy is lunch time procedure and it takes maximum half an hour for the procedure and you can go back to your work place immediately after the procedure. At first, five treatments per week are required, then three treatments every fifteen days and finally two per month are suggested. Receiving treatments every two months for maintenance, you will retain the maximum effect. If you receive more than four treatment sessions you can expect a greater than 90 percent success rate and long-lasting results. Mesotherapy is particularly effective for those who suffer from female telogen effluvium or hair loss after childbirth. For men, it is most effective for patients whose hair lost is moderate or thinning rather than completely bald. Most hair loss is based on overproduction of certain hormones combined with a lack of nutrients. Come in for a hair loss consultation with one of our specialists to determine what course of action would best suit your needs. Mesotherapy can help you as it has helped many thousands of others regain that youthful head of hair. There is no prior preparation required. Allure MedSpa’sclientele comprises of local, out-of-town patients. A good percentage of patients also ‘fly-in’ from out of the country to have surgery with our renowned surgeons.